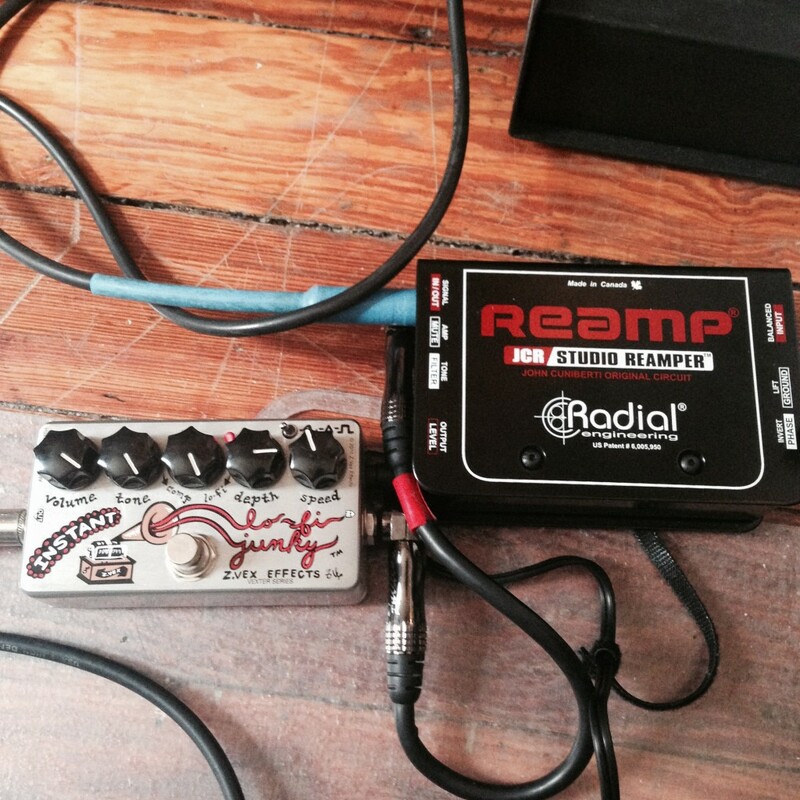 When it comes to reamping, most people think about sending a DI guitar track to an amp. There are some other fun uses for a reamp box though. Over the years I’ve collected a variety of guitar pedals. As an example, I have more than one overdrive pedal. Each pedal has its own sonic imprint. Using these pedals on other instruments can yield interesting results. You’ll discover sounds you just can’t get otherwise. There’s a song called “Driven Man” I’m working on for artist Jenna Torres. I recorded the drums with a wide open bass drum and was going for something lo-fi and vibey. This was a minimal miking situation. I also knew I wanted to affect the bass drum. I wanted some crunch to be blended with the original tone. There were several options I could have chosen for this. I could have gotten some crunch from a compressor. But, I’ve been using the Grizzly Bass on … you guessed it … bass. It has some girth to it. It doesn’t cut the lows like a lot of overdrives do. For this reason, it was perfect for running a bass drum through. 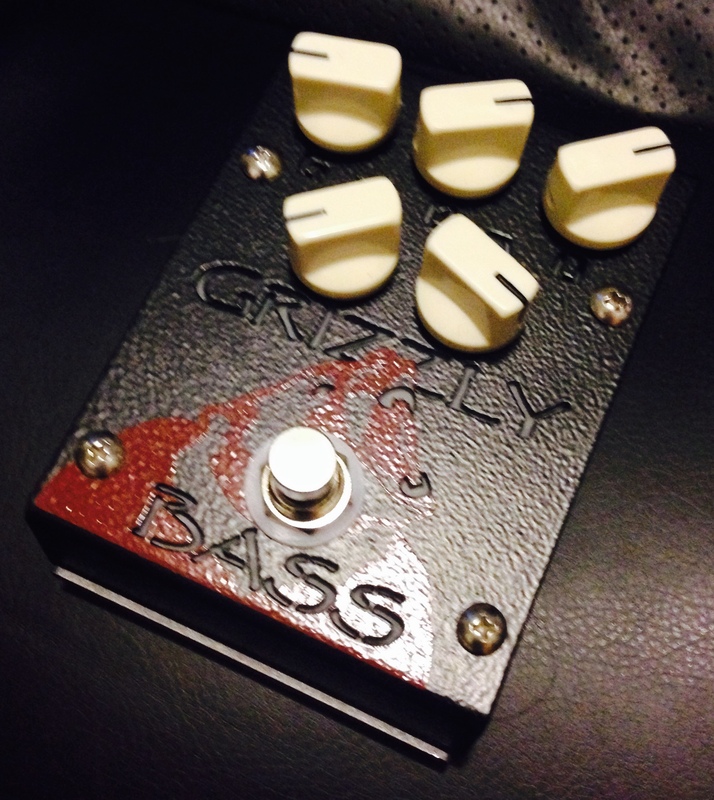 I also really like the EQ section of the Grizzly Bass. There’s a nice high-cut and mid-cut knob. You’ll see in the picture below these optional tweaks came in handy. Let’s look at some examples. Here I’m using a Radial Reamp JCR into a Creation Audio Labs Grizzly Bass. I sent the output of the bass drum track to output 8 in Logic (where I have the Radial Reamp Box connected to my Apollo). I didn’t send any signal out via a bus. This adds more latency and can create phase issues. Sending a signal out and back in is going to result in a file that isn’t 100% synced. Meaning, it’s likely to be a few samples off from the original. It’s important to note that you should always compare the reamped signal with the original signal. If you plan to only use the reamped signal, a few samples doesn’t mean much. However, if you’re looking to combine the reamped signal with the original, phase is going to be important. I always look at the two waveforms and move them forward or backward by samples until they match. I do this while listening to each between moves. It’s not simply up to your eyes to tell you what sounds good. The point is, always check the phase relationship. Sometimes, when you send a signal out through effects, the phase gets reversed. You can tell by listening or looking at the waveforms. Here’s an example of two tracks with the same polarity. Here’s an example of two tracks with nearly opposite polarity. Switch the phase at your mic pre. I use the UAD Apollo which has a button on the front for phase invert. If you don’t have that button on your mic pre or interface, you can find it in some plugins. 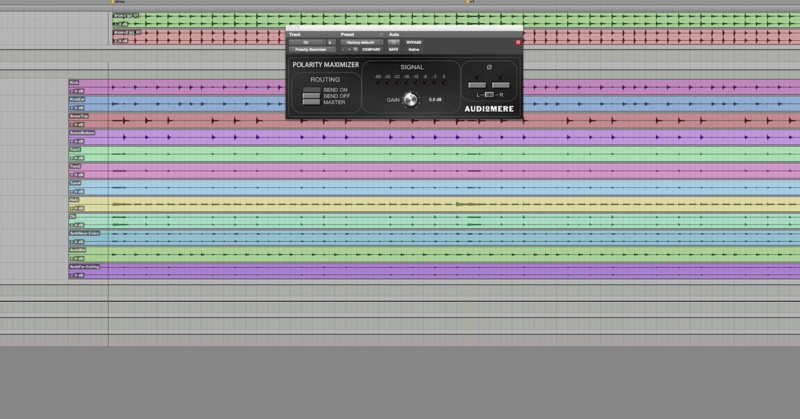 The Gain plugin that is included in Logic allows you to do this. I use the UAD 1073 plugin. 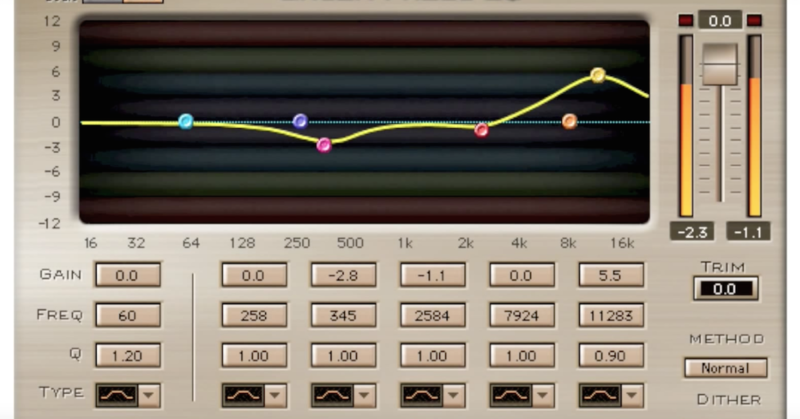 It’s my default EQ and it includes a switch for it too. One of the pedals I’m really fond of is the ZVEX Lo-Fi Junky. It can either make things sound like a wobbly 1/4’ reel-to-reel or an old cassette tape recorder. It’s fantastic. It compresses in a really unique manner that can’t be replicated with a plugin. Let’s check it out. I altered the outgoing mix to get different responses from the Lo-Fi. You’ll find that you might need to adjust the bass drum/snare drum balance that’s feeding the Lo-Fi. I wanted to include one ITB method. There are times when I have limited inputs to record drums. For this example, the drum track was recorded on four tracks: bass drum, snare drum, overhead and over the floor tom. I didn’t have any available inputs for an under snare mic. But later, I decided I wanted a little of that under the snare crackle. The drum track had a lot of ghost notes I wanted to highlight. If you’ve ever spent time listening to the mic from under a snare drum, you’ll notice it sounds a bit distorted. I decided to duplicate the snare track and place a distortion plugin and EQ on it. 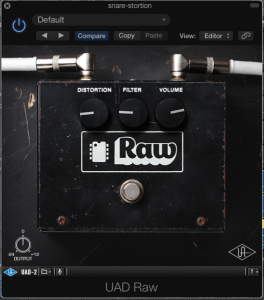 I used UAD RAW. It’s an emulation of the Pro Co Rat pedal. The Rat is different from an overdrive. It’s much more rude. I dialed in what I’m used to hearing from underneath the snare. There was still too much low end so I used a low cut filter on a 1073 to keep the mud out. Then I blended it back in with the original snare rack. Is it the same as having a mic underneath? No. That could be a good thing though. It’s fun to experiment with sound. Try to create something familiar, yet foreign at the same time. How can you use guitar based effects to alter other instruments?